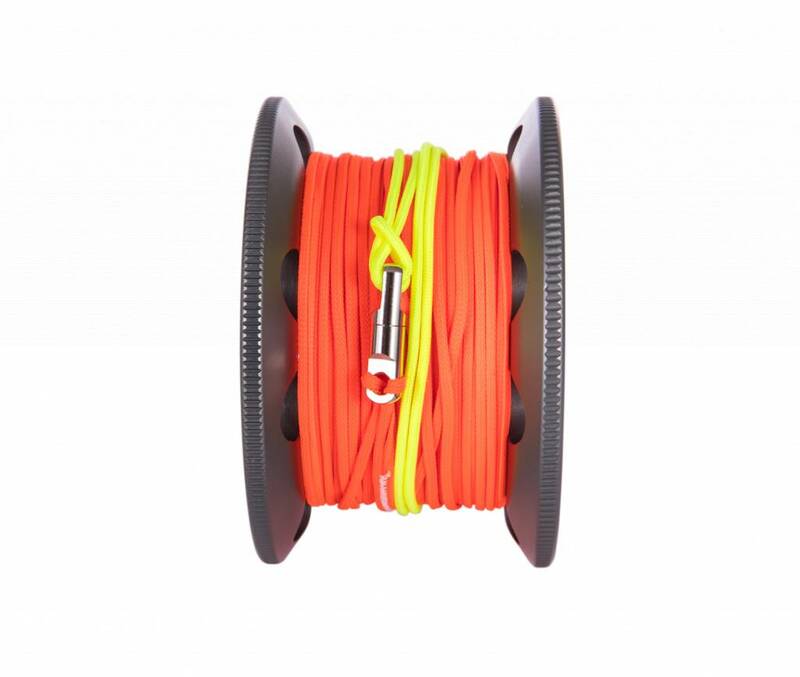 60 metre spool kit inspired by technical diving. 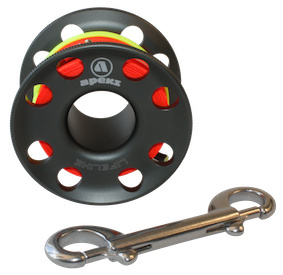 The Apeks Lifeline spool kits - available in 4 sizes - have been inspired by technical diving but are versatile enough to be used in a range of diving situations. They have easy to grip flared sides which improve deployment and winding and are simple to use, even when wearing thick gloves. The spools have been made from a tough anodised aluminium alloy and have a high visibility line for use in low light conditions. The kit comes supplied with a double-ended bolt-snap and has a super tough leader and swivel as standard.